This 20.5 hour responsible CME® course is an intermediate level course that blends online home study training from a professionally filmed and mastered DVD/online access with a one day live interactive instruction experience with hands on lab sessions. This in depth course provides details on performing a comprehensive evaluation for post surgical cervical and lumbar spine and the preparatory work for pre-surgical candidates. Comprehensive evaluation techniques and tools are presented. Carol also discusses the efficacy of common outcome tools that are currently utilized in the clinic and the importance of pre surgical and post surgical values. A step by step evaluation process is discussed and demonstrated to include: postural assessment, neurological assessment and muscle testing. Carol will take you through the process of identifying specific key muscles necessary for the recovery after spine surgery and how to properly evaluate each individual muscle group for a baseline for treatment. Manual therapy techniques to improve soft tissue mobilization and intervertebral motion is presented with concurrent evidence based information to support the clinicians decision to utilize specific treatments with the post surgical spine pattern. The Literature review will enhance the clinicians ability to utilize information in current research articles and apply appropriate techniques when developing progressive rehab programs. Recent evidence on exercise selection and prescription can greatly help with specificity of treatment. There are multiple current opinions and theories on exercise training which will be explored and compared to traditional ideas to help clinicians more easily organize their goal setting and intervention plans to achieve optimal functional outcomes. Discussion and case examples from the course participants, in addition to those presented by the instructor, are greatly encouraged in this course. By combining the learning formats of both the live and online portions of this course, clinicians will experience information in a stimulating, easy to learn format. The step by step videos and comprehensive online information works synergistically with the live hands on experience, case study analysis and interactive lecture of the live course. Each section of the course also provides a comprehensive manual. This course is applicable for PT’s , PTA’s, OT’?s and AT’s. Explain the use of spinal surgical procedures such as lumbar microdiscectomy, laminectomy and fusion, kyphoplasty and vertebroplasty, artificial disk replacement and anterior cervical fusion. Identify the standardized outcomes tools that can be utilized to track and compare outcomes. Describe the fundamental components of a post-op spinal evaluation. 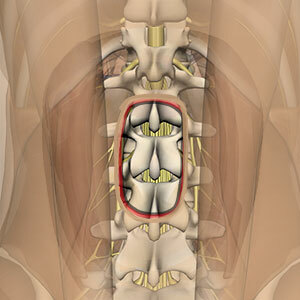 Perform a post operative spinal evaluation utilizing certain techniques for the varying stages of post-op progression. Describe the importance of key history questions to ask during your patient initial evaluation to appropriately utilize when developing a progressive treatment program. Identify specific tests to utilized during a neurological exam, and the key tests for surgical candidates. Define the four functional loss characteristics used to help determine the most tolerable movements for patients. Utilize the functional loss characteristics to identify treatment interventions and assist with goal setting. Utilize the inclinometer to measure cervical and lumbar ROM and when this is helpful for surgical management. Explain the standardized outcome instruments you can utilize to assist with your overall goal planning and intervention selection. Develop a comprehensive approach to post-op spinal evaluations to include the identification of specific tests to perform at different stages of post-op spinal surgery. Perform a post-operative neurologic exam and use findings to track progress and plan program. Compile a patient evaluation problem list together with the specifics of the spine procedure and select interventions to address each problem that also contribute to perioperative care for that procedure. Recognize the importance of motor control exercises for the cervical and lumbar spine, and their role in decreasing pain, improving strength, stability and function outcomes. Evaluate deep cervical flexors (segmental stabilizers) using stabilizer and emphasize the need for conditioning these muscles for return of cervical spine alignment and protection. Teach a patient to activate specific segmental muscle stabilization in the lumbar spine with a motor control focus. Create balance routines for retraining proprioception and muscle control in the lower extremities. Integrate exercise bands into appropriate exercises routines in order to intensify the effect on targeted muscle groups. Develop a post surgical cervical spine stabilization exercise program with a motor control focus. Build a comprehensive exercise program that both stabilizes and strengthen key muscle groups in the post surgical spine patient. Describe purposes, safe time frame, and basic techniques used in manual therapy for postoperative lumbar and cervical spine. Perform manual therapy on the post-op cervical and lumbar spine and explain the rationale for each technique depending on the patient’s diagnosis. Identify typical problem areas, complications, and barriers that can occur during various phases of spine rehab, including hospital stay, early post discharge care, and out patient rehab. Develop a patient education program for the post op spine patient. Identify how to utilize the information in research articles to perform the most effective tests and develop evidence-based rehab programs. I have had nearly 40 years of experience as a therapist, but for the past 30 my focus has been on spine care. With this focus in mind, I completed a PhD in order to have a more in-depth understanding of this particular patient group. DVD Shipment and Instant Online Access to Course Material for 365 days, Videos, Online Test and Printable Course Certificate with State Specific CEU approval - Most popular option!